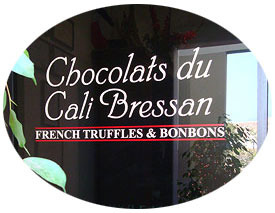 Jean-Michel Carre and wife Jill-Marie, owners of Chocolats du CaliBressan, opened their doors in Santa Barbara, California in 2007. Jean-Michel's original designs and sensational chocolate recipes quickly earned him recognition as the finest French chocolatier of the American Riviera. His sweet sensation designs are considered works of art by his devoted customers, and the quality of his chocolate is exceptional. 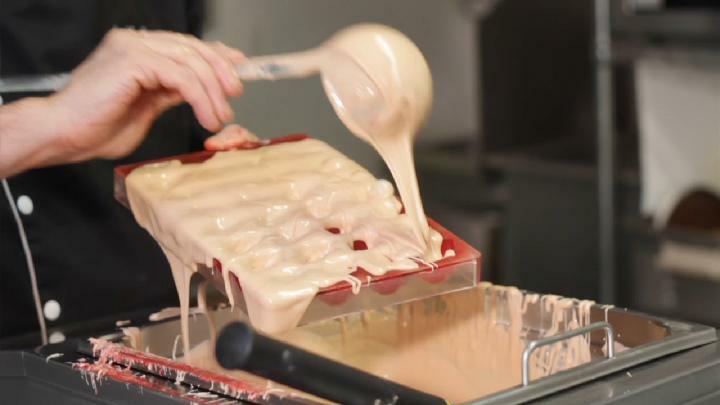 Jean-Michel was born and raised in France, where he acquired his Chocolate skills at the Ecole Nationale Sup�rieure de la P�tisserie. French fine chocolate making is a well known art in cities like Paris and Vienna, but today local Santa Barbara residents, and visitors alike, are privileged to enjoy fine chocolate gourmand surprises all year long. 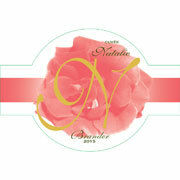 The impressive corporate designs Jean-Michel creates for business clients are recognized, and savored by everyone. A gift box of chocolates from Chocolats du CaliBressan is recognized by those in the know as a gift of extremely fine chocolate, and it is a gift that is always highly appreciated. These corporate little sweets are often served by event planners at area client sponsored events, and seen as the perfect finishing touch to a luncheon or dinner. During the Christmas holidays Jean Michel labors creating his signature Christmas Tree design, a colorful and delicious chocolate arrangement to grace any holiday business or family event. Locals know and love Jean-Michel's special event designs, including the Chocolate and Avocado Truffles he serves at the Annual Avocado Festival each year, as well as his signature French Bisous, red lips made with dark and milk ganache with tangerine, which is a favorite all year round, but especially on Valentine's Day. 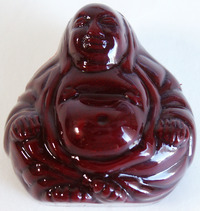 Others include the Buddha Beauty, a truffle amulet filled with soft salted caramel that comes with instructions to lick his belly for good luck. 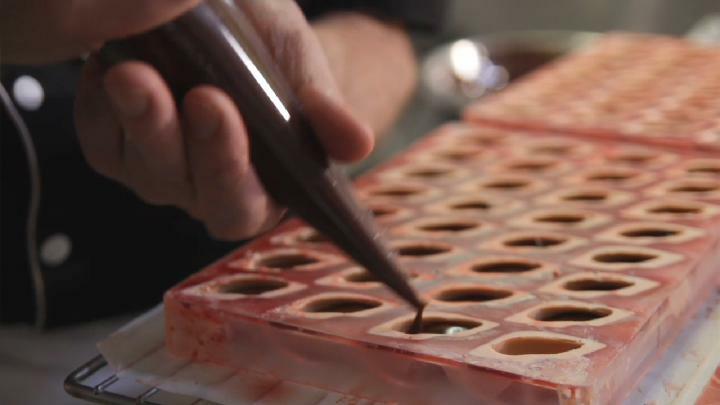 His career path has included 30 years in the kitchens of restaurants in France, Switzerland and the U.K., and his success is surely the result of his passion for making fine artistic chocolates. Their chocolate kitchen is located in the Chocolats du CaliBressan in Carpinteria, and is a wonderland of sweet delights, where Jean-Michel experiments daily with unique ingredients to fill special client requests. The salon on State Street and Figueroa in Santa Barbara is a magical venue, featuring cases filled with a bevy of his unique creations, where they now serve home-made hot chocolate, gelato along with beautiful personally designed chocolate gift boxes. 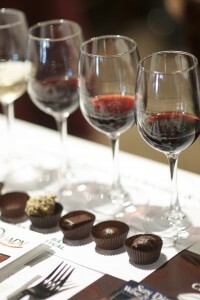 Pairing wine with chocolate is a natural inclination, and can be a delightful marriage if you understand the basics. Below are few tips from a few authorities on this sweet combination to help make your season bright. "Wine and chocolate can go together, but you need to match sweetness with sweetness, so avoid trying to pair a dry red wine (like Cabernet Sauvignon or Pinot Noir) with chocolate, and instead look to some great dessert wines, like Vintage Port and Madeira from Portugal, or sweeter versions of sherry from Spain. 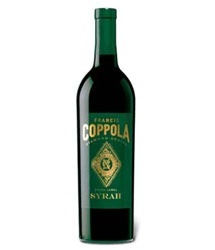 These wines bring a natural sweetness, balanced by fresh acidity, to help keep up with the sweetness of the chocolate you're enjoying, while also cleaning off your palate so you're ready for the next bite! "�Thomas Pastuszak. White chocolate and ice wine is another great pairing. 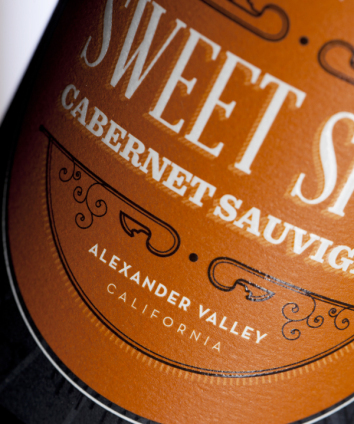 There are also a few domestic red dessert wines like late harvest zinfandel and black muscat that are delicious accompaniments. "�Jamie Kaloustian. Dark chocolate with wine is a natural pairing, and some say the full robust reds like Shiraz and Cabernet Sauvignon have similar flavor profiles to exotic chocolates with notes of red berry, oak and even tobacco at times. 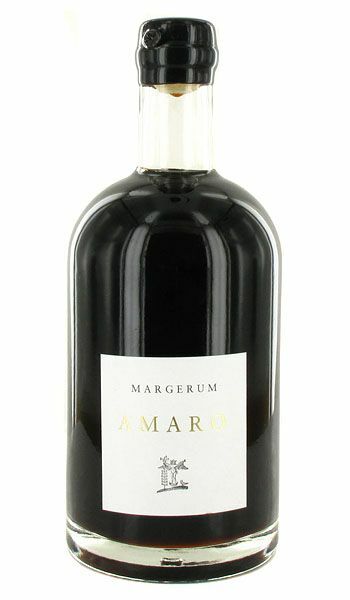 The distinct tasting experience of an extra fine chocolate with a glass of Sweet Spot Cabernet is appreciated by many, and Brander Cuvee Natalie 2014 or Korbel Sweet Rose are lovely options with chocolate.Doug Margerum created an Italian style appertif Amaro that pairs very nicely with chocolate. 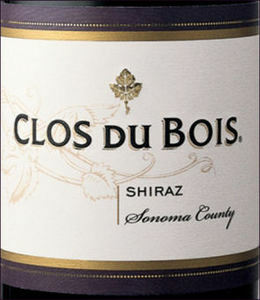 Clos du Bois Shiraz 2012, Francis Ford Coppola Diamond Collection Syrah-Shiraz 2014 or Ficklin Vintage Port also come highly recommended to enjoy with sweet chocolate endings. Travel writer Rick Steves is said to be a devotee of Jean-Michel's chocolates, and during the Cannes Film Festival the chocolate making dynamic duo delivered gift baskets to stars in attendance that included Jennifer Garner, Julian Moore, Jessica Albs, Jered Leto, Halle Berry, Drew Barrymore, Cameron Diaz, Jennifer Lopez, Justin Timberlake, and Cherlize Theron. �We were happy to gift baskets to A-list celebrity clients during major events,� said Jean-Michel. For many customers a gift box of Chocolats du CaliBressan carries the same distinctive recognition as a �little blue box� from Tiffany, and will be equally appreciated by every recipient this holiday season or for any special occasion. Members of the J'adore Chocolate Club are able to receive five holiday shipments of chocolate each year between October through March, and a gift membership is also a thoughtful gift for your holiday gift recipients. Chocolats du CaliBressan's La Arcada location is 1114 State Street, #2, the Carpinteria venue is located at 4193 Carpinteria Avenue, Suite 4. Visit: www.chococalibressan.com for hours of operation and additional details. 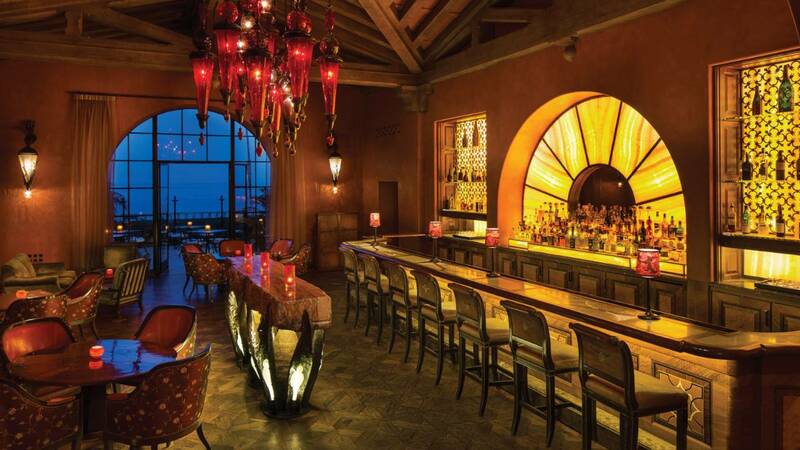 The amazing talented Ty Lounge Team at the Four Sreasons Biltmore Resort and Spa will present The Twelve Days of Christmas� a delightful collection of original cocktail recipes for guests enjoyment during the 2016 season. 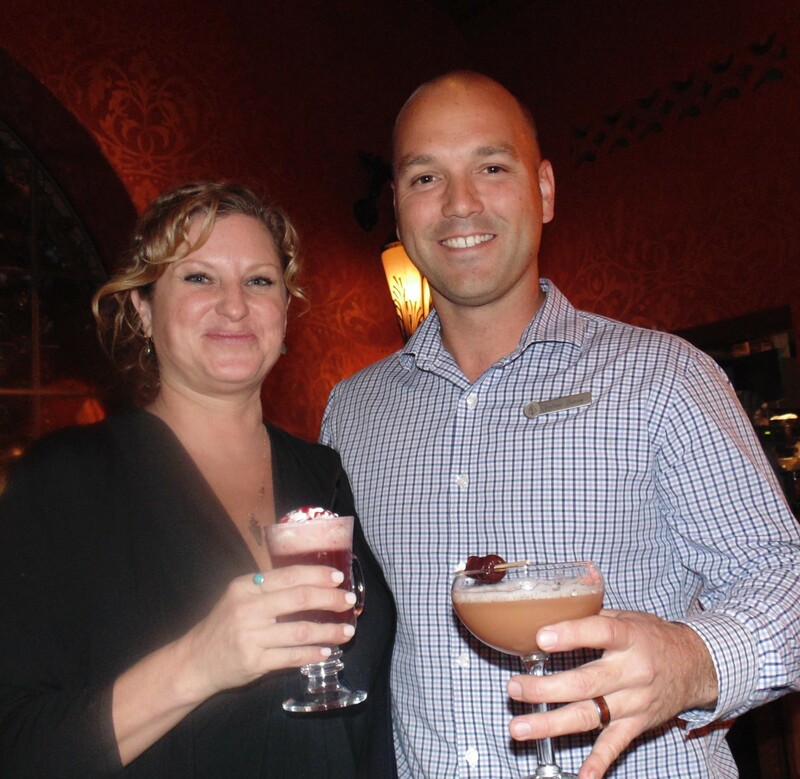 Joshua Burrey, Ty Lounge Mixologist and Jennifer Higgins Ty Lounge General Manager invited me to savor their creative collection of amazing Christmas cheer, and provided some tastes from new Executive Chef Marco Fossati as well. Below are the recipes for three of their loving twelve holiday efforts for your enjoyment. The recipe cards for the twelve cocktails will also be available in the lounge for guests to take home following a warm and cozy evening in the renowned and historic Santa Barbara lounge. Garnish with brandy marinated cherries. 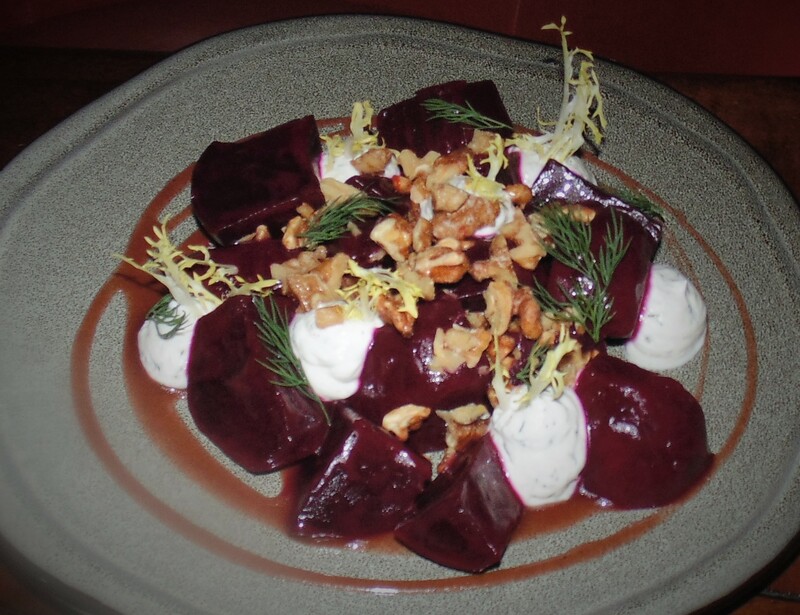 Garnish with house made whipped cream and finish with raspberry coulis over the top. 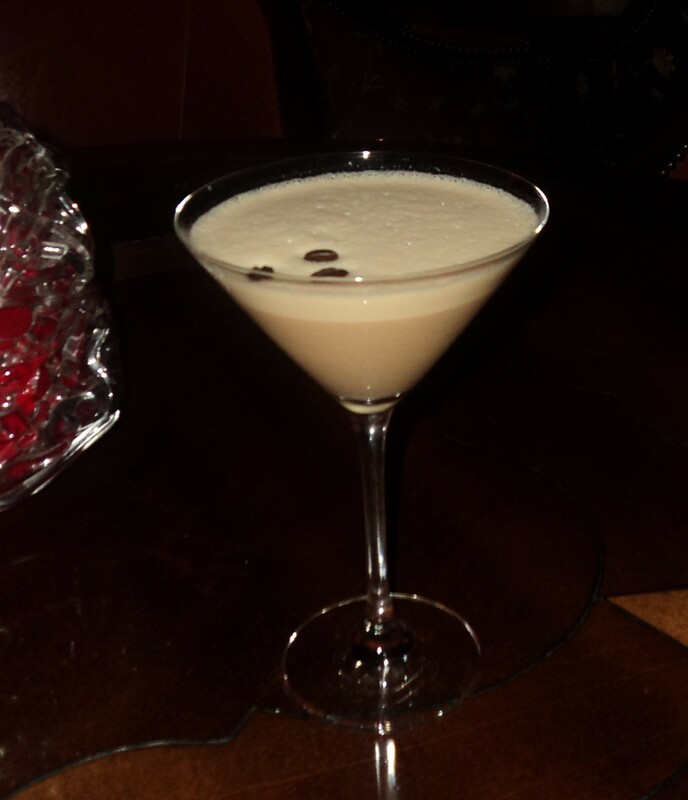 Stop by the Ty Lounge throughout the holidays and sample them all!! 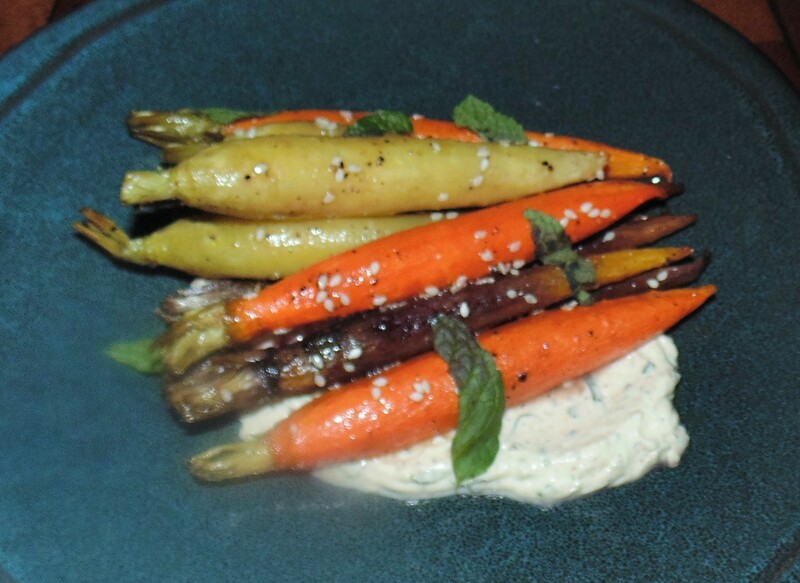 Delicious hors d'oeuvre and small plates to enjoy with these Christmas Cheer sips include Morrocan hummus with pita bread, rich beet salad, fresh veggies, or a sweet dessert tray that will delight. As the Holiday months draw near, we start thinking about the special things we can do for our friends and family. Gifts can sometimes be difficult to figure out, and we sometimes find ourselves wondering �what the heck should I get them�. Well why not something meaningful and personal? That is exactly what the �evermine� company had in mind, and they provide an easy but memorable way to share that personal gift.